In many forums i found that asp.net c# vb.net developers ask expert how to get or read master page control from content page as well as how to get or read content page control from master page. 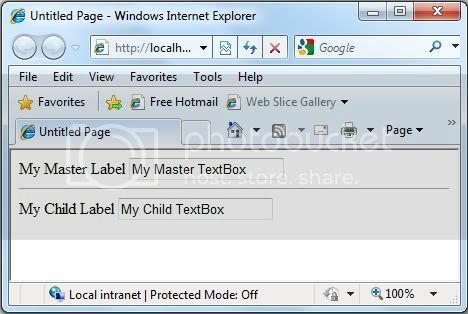 Thats why in this asp.net tutorial i will explain how you can access or read content page controls from master page as well as access or read master page controls from content page. To do it by a simple example add a master page and a content page in your project. by using Master.FindControl() method. And can read content page from master page by using this.FindControl method. Hope now you can read master page controls & content page control from each other.